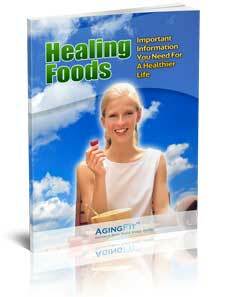 As people begin to age, a wide array of health problems can become more prevalent. Diabetes is one of the more serious health concerns that it is important to recognize and catch early to manage the severity. It is possible for people who never had any problems with this disease, to become diabetic over time. By knowing the symptoms and what to watch out for, you can be aware of any significant changes in your health. Being educated about this potentially deadly disease will help you catch any issues before they are out of hand. This disease has often been referred to as the silent killer, and for good cause. Many people have let symptoms go un-checked until it is too late. Diabetes has a lot of warning signs and indicators that can be easily detected if you know what to look for. One of the most common signs of this disease is an unexplained increase in your appetite or an increase in your thirst. Another common warning sign is an increased need for urination. It is not uncommon for someone who is suffering from diabetes to urinate as much as once every hour. If you have had any unusual weight gain or loss, that could be another indication of this disease. Other signs are blurred vision, fatigue, nausea, yeast infections in both men and women, and itching skin. One of the most obvious signs of this illness is if you experience trouble healing wounds. If you have sores or cuts that take a long time to heal, especially in addition to any of these other symptoms, it is a good indication that you may be developing or have diabetes and it is a good idea to see your physician. This disease is extremely serious and can increase your risks for several other health complications. People who have diabetes are more likely to have eye conditions such as diabetic retinopathy. This is retina damage, which can cause partial or complete loss of your eyesight. It can affect much more than just your eyes. This illness can damage your heart, and it damage your kidneys. Damage to the kidneys is known as diabetic nephropathy and it often leads to kidney failure. Your body’s nerves can also be damaged from this illness. Nerve damage can cause many problems such as stomach paralysis, leading to things like chronic diarrhea. Diabetes even affects your blood vessels, gums and teeth. People suffering with undiagnosed or untreated diabetes are likely to be susceptible to several devastating conditions. Some of the possible conditions are kidney failure, stroke, heart attack, gum disease, and serious infections in their toes, feet or legs. The infections can becomes so severe as to even lead to amputations. While these are serious problems, they can be avoided. After diagnosing early onset diabetes, with the help of a doctor, you can get on a treatment plan. A good treatment regiment will help you regulate and control this illness. In some cases, people can even get rid of it all together. There are three types of diabetes that you can can develop. Only 10 percent of diabetics suffer from Type 1 diabetes. With this type, the person’s body either stops producing insulin altogether or the body does not produce enough insulin to properly regulate the body’s blood glucose level. This particular type is often diagnosed in a person’s childhood. However, it can occur in adults who have a damaged pancreas due to disease or alcohol abuse. People who have Type 1 diabetes can regulate their blood glucose levels with a daily insulin treatment. In this case, the person’s body still produces the needed insulin. The problem is that someone suffering from this variation of the disease is at least partially unable to use the secreted insulin. The body will try to correct this insulin resistance by producing even more. The person’s body must have an increasingly higher amount of insulin. You will become diabetic when the body is eventually unable to produce enough insulin to meet your needs. People who develop this type usually are not diagnosed until well into adulthood. In fact, around 90 percent of adults who suffer from diabetes have Type 2. This disease can typically be controlled through a combination of medication, exercise, diet and weight loss. Unlike with Type 1, people who suffer from Type 2 diabetes do not always require insulin to control their symptoms. The third type is known as Gestational diabetes or GDM. This particular type of the disease appears during the second half of a woman’s pregnancy. In most cases, when a woman develops GDM during pregnancy, it resolves after she gives birth. Women who develop GDM are more likely to give birth to larger babies. These women also have a higher probability of developing type 2 diabetes than other women. Since the majority of adults who develop diabetes will develop type 2, physicians recommend that anyone who is considered at risk should begin having regular screenings when they reach the age of 30. Adults who are at risk are people who have a family history of diabetes, are over weight, have high blood pressure, or a history of GDM. It has also been proven that the risk is greater in people who are Hispanic, Native American, Asian or African American. While you cannot change your predetermined risk factors such as family history, ethnicity or age, you are in control of other important risk factors. Changes can be made to prevent this illness from developing. Proper diet and exercise are two of the most proactive things that you can do to protect yourself from diabetes. A healthy and active lifestyle, along with regular physician visits can help most people avoid diabetes. Obesity alone is the most common reason why anyone develops type 2 diabetes, and it is completely controllable. If people can simply get to a healthy weight, they can properly absorb insulin. When their bodies can absorb insulin, their blood glucose levels can regulate. When you know the symptoms to look for and you live a healthy lifestyle, you are more likely to prevent diabetes from developing.